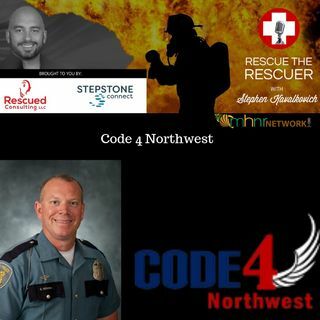 Join Steve Redmond, founder of Code 4 Northwest, and I as we discuss wellness and supporting first responders, especially when they are not on the job. Steve started his law enforcement career as a Spokane Police Reserve Officer in 1989. In 1992, he was hired by Seattle PD as a full-time sworn officer. During his career with Seattle, Officer Redmond has worked as a patrol officer, mountain bike officer, field-training officer, DUI officer, traffic officer, motorcycle officer and is ... See More currently assigned as the department’s safety officer. Steve has been with Seattle PD for over 26 years. IN 2013, Steve created a crisis line for first responders, EMS, corrections, nurses, and their family members that covers the State of Washington along with parts of Idaho and Oregon. Steve has had opportunity to present at many conferences around the country, as well as police and fire departments around the region. Steve’s presentation offers his unique perspective on SURVIVING THE JOB, surviving personal crisis, and surviving family crisis. This perspective is based on his personal journey through his own crisis, the chaos it causes, as well as his experience in assisting over 3000 individuals and families deal with their own personal crisis such as addiction, secondary trauma, PTSD, depression, stress and more. Great to hear, been dealing PTSD for sometime.